Bats navigate using echolocation — emitting sound and listening to the echoes bounced back from objects in their near vicinity. This allows them to identify those objects and plot their locations. 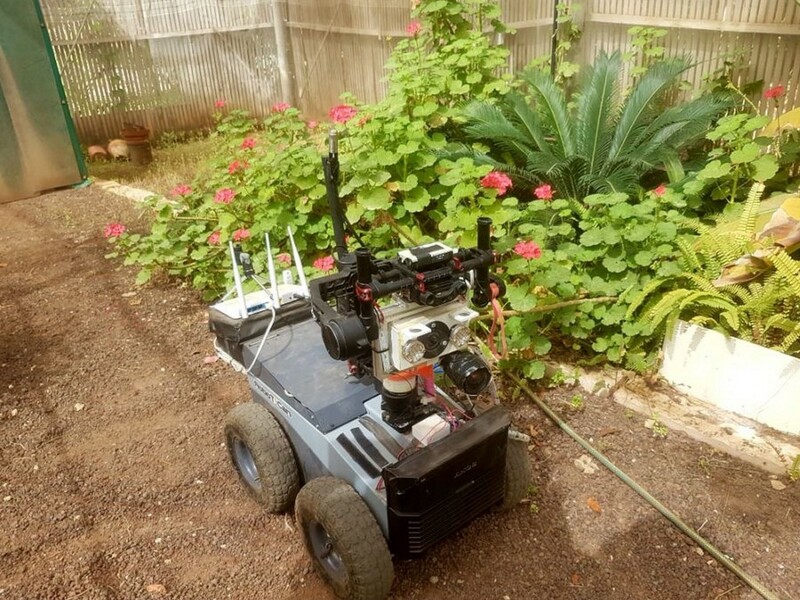 Researchers from Tel Aviv University have adapted that bio-sonar and used it to design a fully autonomous robot capable of mapping and maneuvring around obstacles in outdoor settings. The Robat autonomous vehicle traverses in any given direction at a rate of around one meter per minute, and every 30 seconds it pauses and emits three chirps (@ 0.035 seconds in duration) from an ultrasonic speaker pointed in three different angles at a range of up to six meters. A pair of ultrasonic microphones grab the echo bounce-back and feed the data into a neural network that analyzes the sound to identify everything from walls to plants. 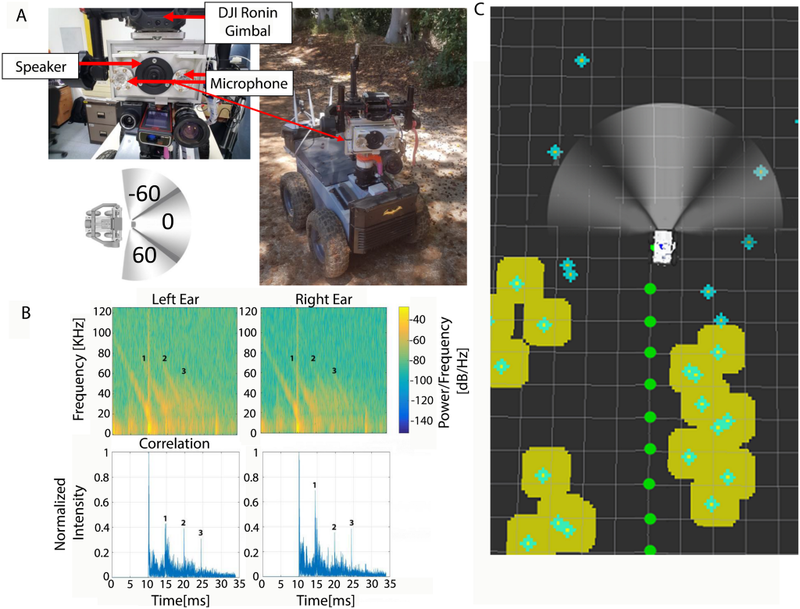 According to the researchers, the Robat “is the first fully autonomous, bat-like biologically plausible robot that moves through a new environment while mapping it solely based on echo information.” During testing, their robot achieved high mapping accuracy using active wide-band sound emissions to map its surrounding area while exploring two greenhouses. As far as applications go, the Robat technology could be employed with any robot that needs to navigate — including vacuum-cleaning robots, agriculture machines, and even rescue robots that could use the tech to search through rubble for survivors. Future research could eventually lead to the development of bat-like drones that could navigate while flying through congested areas such as forests and cities for any number of applications. Tel Aviv University’s Robat Uses Echolocation for Navigation was originally published in Hackster Blog on Medium, where people are continuing the conversation by highlighting and responding to this story.